Archaeologists working in the Swiss town of Saint-Ursanne have discovered a remarkably well-preserved leather bootie dating back to the Middle Ages. Located in northwest Switzerland near the French border, the picturesque town of Saint-Ursanne has managed to retain its medieval character. Construction work to improve the town’s sewage system began in 2016, resulting in a slew of archaeological discoveries. 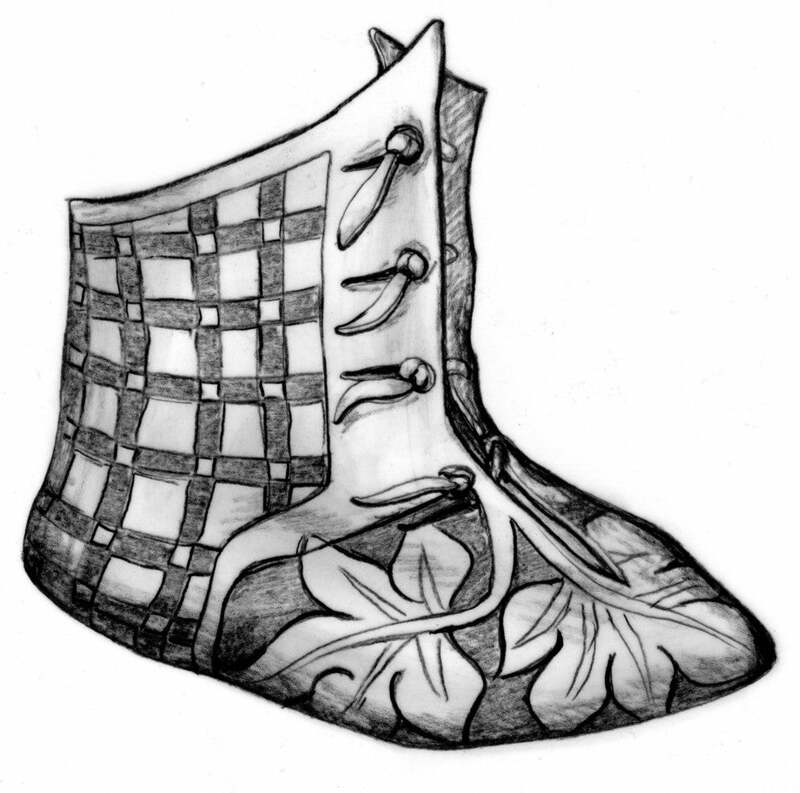 In one of the more striking finds, researchers from the Jura Office of Culture uncovered a fragment of a baby bootie dating back to the late 14th century, as reported in the Local. The tiny leather boot would have fit a child around 12 months of age. The fragment, along with over a hundred other leather pieces, were found in a large, wet depression under the town’s cobblestone streets, according to a Jura Office of Culture statement. 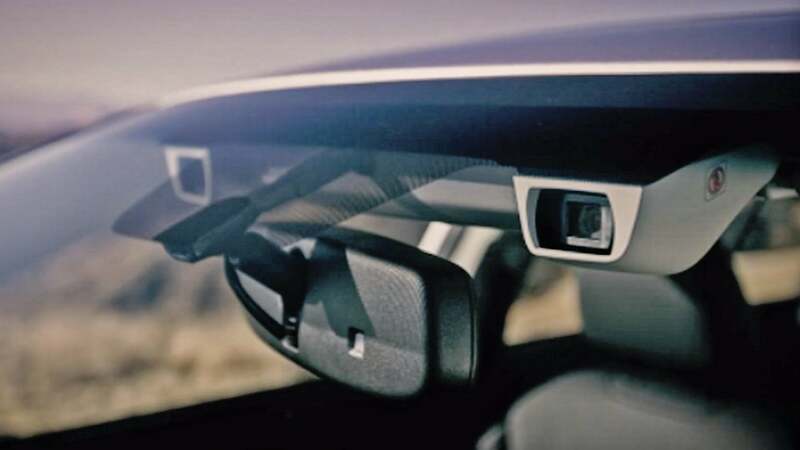 Soggy deposits allow for the preservation of waterlogged organic materials such as leather and wood. The Jura archaeologists sent the fragments to the the husband-and-wife team of Serge and Marquita Volke at the Lausanne Shoe Museum for treatment and classification. 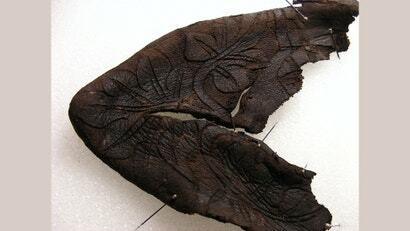 It was among these scattered pieces of leather that the baby bootie was identified. The fragment measures 17 centimeters (6.7 inches) long and 13 centimeters (5.1 inches) wide. The upper section of the boot is made from goat leather, while the sole is made from cow leather. The upper section includes clasps made from leather buttons, “a popular form towards the end of the 14th century, though rarely preserved,” according to the Jura Office of Culture. This kind of footwear is exceptionally rare in the archaeological record, with only five other examples known to exist — three found in London and two from the Netherlands. Floral decorations can still be seen on the garment, along with a series of geometric patterns. The original colour of the bootie could not be determined, as water-soaked leather reverts to a dark brown. In addition to the leather pieces, the sewer work has resulted in the discovery of architectural elements, including a “particularly complex development” dating back to the Middle Ages. 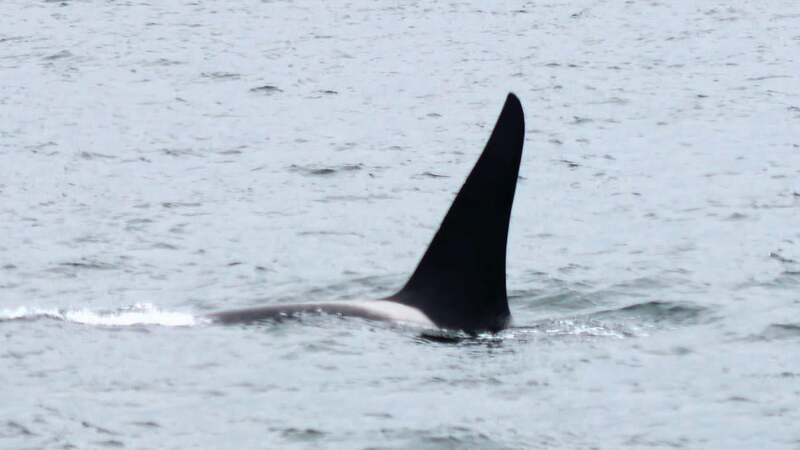 The purpose of the structure is not yet known and investigations are ongoing. When plumbing planner Jannick Vestergaard and engineer Henning Nøh woke up on the morning of February 5, it likely never occurred to them that their day’s work would result in the discovery of an extraordinary double-edged sword dating back to the 14th century. Of late, sewers have been of great benefit to archaeologists. Late last year, for example, sewer work near the Thames River led researchers from the Museum of London Archaeology (MOLA) to discover a 500-year-old male skeleton wearing thigh-high leather boots. 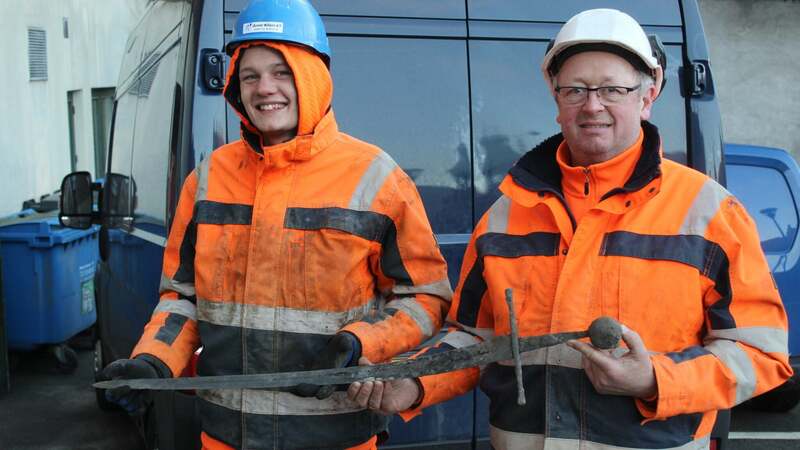 And in February of this year, Danish workers stumbled upon an extraordinary medieval sword while digging out a sewer. Sometimes, all it takes is just a bit of digging at the right spot to find cool stuff.